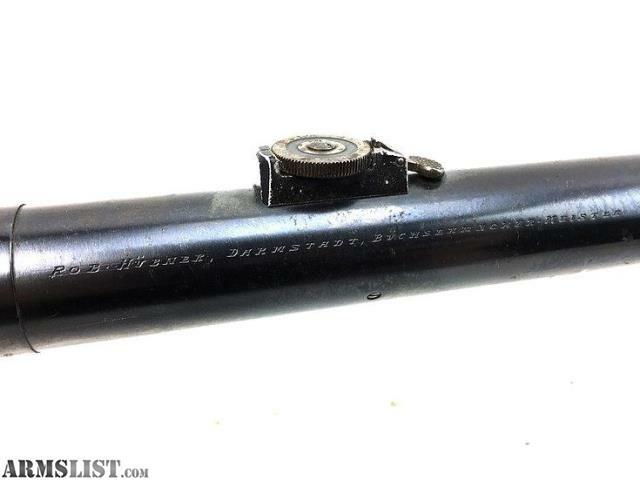 Original German manufactured sniper scope for the GEW 98, K98B and K98K. 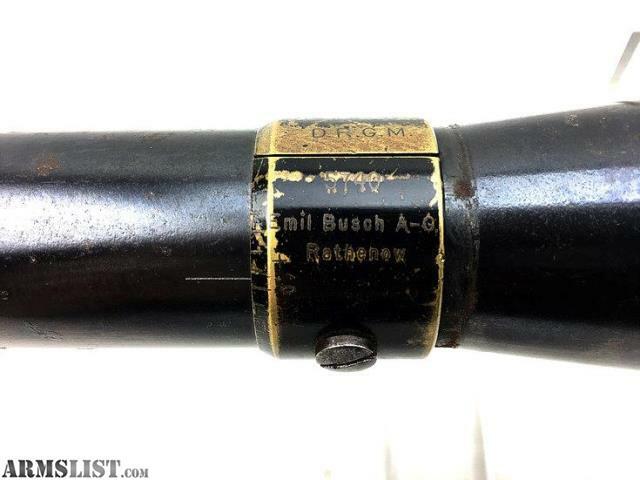 Scope is manufacured by the pre WWII firm of "Emil Busch" of Rathenow, Germany. 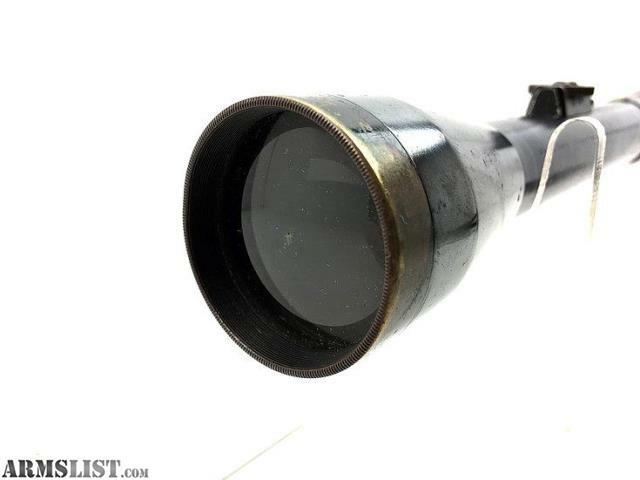 7.5 magnification, with "T" retical. Adjustment is 100 and 175 metres. Diameter 30.6mm. 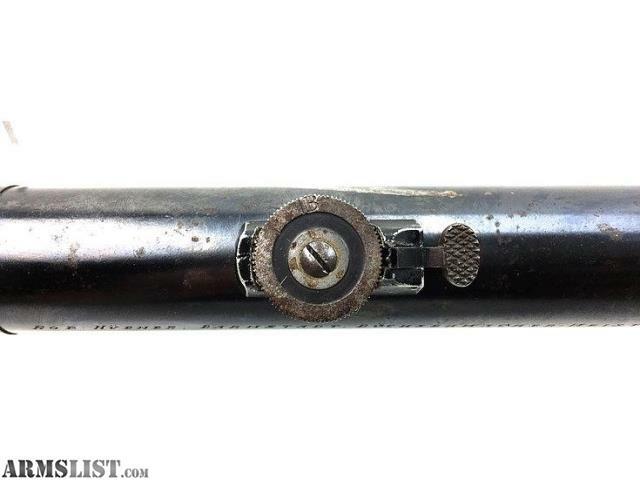 Scope is serial numbered for use, "5740". Optics are scratch-free and clear, but with some yellowing and dust from age. This is the longer type that would be fitted using the high mounts. 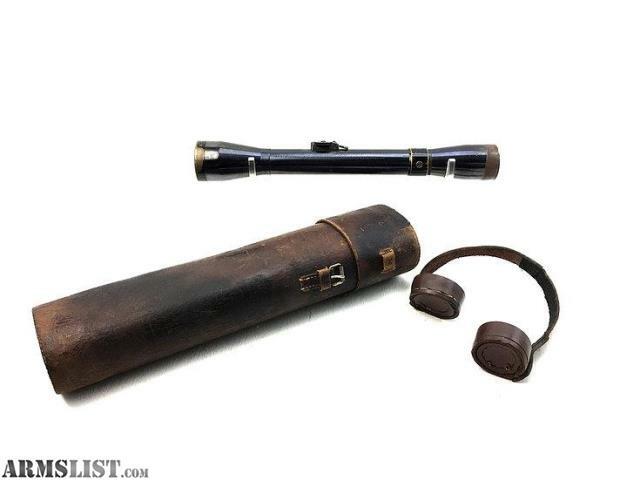 This is a very difficult item to find on the loose. Comes with what is left of the original case and covers.